India and Bangladesh are all set to lock horns for the final match of the Asia Cup 2018. 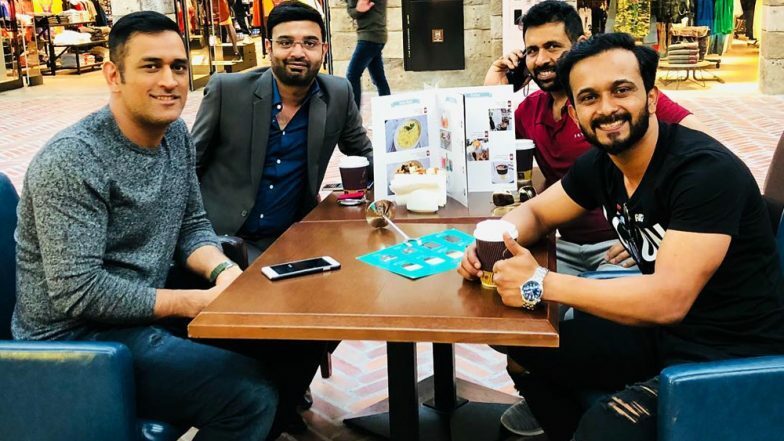 Ahead of the crucial tie between India and Bangladesh, former India captain MS Dhoni and Kedar Jadhav let their hair down and enjoy a cup of coffee. Dhoni captained India in the match against for the 200th time against Afghanistan in the last match of the Super Four tie also met Maanayata Dutt. The former Indian captain returned to be the skipper of the Indian side after 696 days. However, the match between India and Afghanistan ended up with a tie. Check out the preview of India vs Bangladesh, Asia Cup, 2018 Finals. Both Dhoni and Kedar Jadhav looked extremely relaxed as they posed for the picture. Kedar took to social media and shared the snap and captioned the snap, “A day well spent.” Check out the picture below: Ahead of Summit Clash Rohit Sharma Trains Hard, Watch Video. Ahead of the final between India and Bangladesh, Sunil Gavaskar advised to not take Bangladesh lightly. "They are as ardent fans of their team as the Indian fans are. I don't think it is fair to say it's an anti-climax. Bangladesh fully deserve their place in the finals because they made an excellent comeback against Afghanistan and have played exceedingly well so far. If India takes them lightly they could be in for a surprise," said Sunil Gavaskar. The former India cricketer also went on to praise Mushfiqur Rahim’s innings and said that he was excellent and the team has done very well despite the absence of their stalwarts. Bangladesh could be missing out on the services of Shakib Al Hasan as he has gone back home owing to an injury.